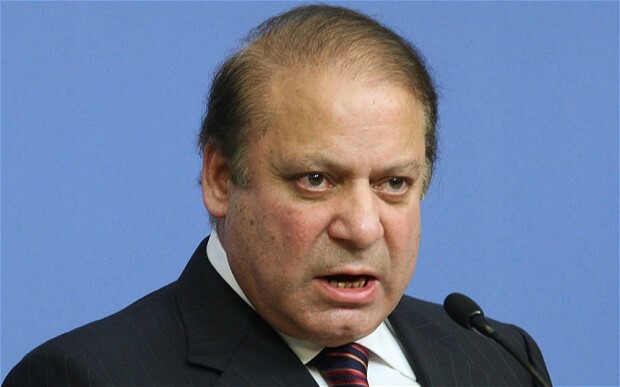 Pakistan Prime Minister Nawaz Sharif on Friday presided over a high-level meeting to review the progress of the investigation into the Pathankot airbase attack as reiterated Islamabad’s commitment to India. In the meeting which was attended by the Pakistan’s top civil and military leadership, Islamabad reiterated their strong condemnation of terrorism in all its forms and manifestations. It was noted with satisfaction that Pakistan’s counter-terrorism campaign had made significant gains and that Pakistan’s entire leadership and institutions were working in complete harmony to counter terrorism and extremism. The people of Pakistan have resolved that no terrorist would be allowed to use Pakistan’s soil for committing terrorism anywhere in the world, the Ministry of Foreign Affairs said in a statement. Discussing the Pathankot attack, they meeting condemned the terror strike and reiterated their commitment to cooperate with India to eradicate the menace of terrorism. The meeting reviewed the progress made on the information provided by India and it was decided to remain in touch with New Delhi in this regard. Pakistan expressed confidence that they would remain committed to a sustained, meaningful and comprehensive dialogue process with India. Meanwhile, India is awaiting Pakistan’s response on the information provided related to the Pathankot incident which is crucial to the upcoming bilateral talks scheduled for later this month. India’s foreign ministry has said that Islamabad has been given actionable intelligence that those responsible for the planning and execution of the attack had come from Pakistan.